Harry’s sets the standard for downtown dining. Overlooking the bayfront, Harry’s Seafood Bar & Grille beckons with glowing lights and an expansive brick courtyard for outdoor dining (see below). W hat started initially in 1987 as a 20-seat limited-menu raw bar at the entrance of the newly opened Jacksonville Landing is now a thriving collection of five full service restaurants located throughout Florida. With locations in Gainesville, Lakeland, Tallahassee, and Ocala, “Harry’s St. Augustine location leads the pack in terms of revenues,” comments managing partner Jesse Jabot. 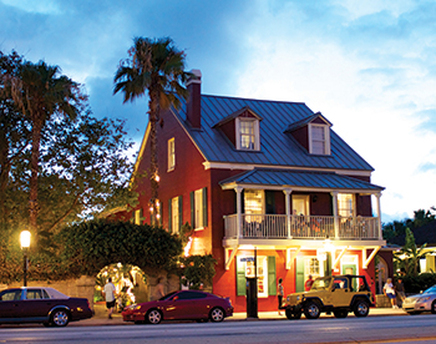 “And that has everything to do with our courtyard right on the bayfront.” The two-story historic building located right on St. Augustine’s historic bayfront is the perfect complement to the restaurant’s theme and menu—Cajun and Creole specialties with a focus on fresh local seafood. The restaurant was founded initially by two brothers—Greg and Louis Saig who were inspired to adopt the New Orleans theme from one of their first employees who hailed from the region. Not long after they founded the concept, Jeff Jabot came on board as the first opening general manager of the St. Augustine location, which opened in 1995. As Jeff became more involved in development of new locations in Jacksonville and Northeast Florida and eventually a partner in the company, his twin brother Jesse took the helm of the St. Augustine location and today is the current vice president of the company. The Saig brothers and Jeff Jabot expanded into yet another restaurant concept—Salt Life Food Shack—in partnership with the developers of the widely recognized Salt Life brand and built their second location overlooking the ocean in the heart of St. Augustine Beach (a third in Fernandina Beach opened in November 2018). Jesse Jabot reminisced about the original Harry’s location, which opened in June of 1987 when the Landing was first opened. Harry’s most popular dishes include Shrimp and Scallops Orleans, Chicken and Shrimp Creole, Crab-Crusted Red Fish Royale, Bourbon Street Salmon and Filet Mignon “Scampi Style”, to name a few. A great selection of seafood, chicken, beef and pork along with burgers, po’ boys, salads and much more; Harry’s menu is sure to have something for everyone. Whether dining in the expansive brick courtyard or inside the vintage building overlooking the bayfront, the good times are rolling at Harry’s. 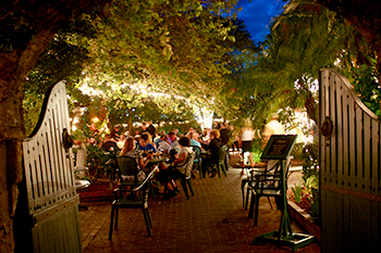 Harry’s serves lunch and dinner daily from 11 a.m. Live music is featured nightly. Private dining and banquet facilities available. 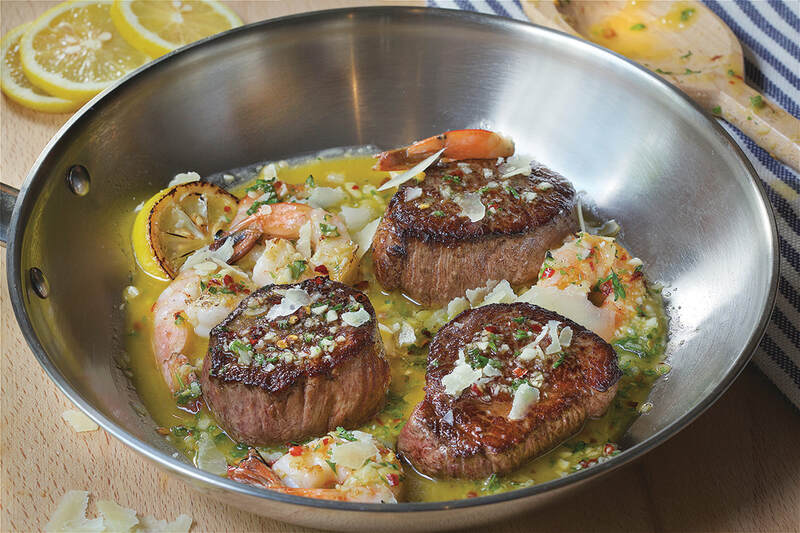 Beef Tenderloin "Scampi Style" is the ultimate surf and turf dish in town. 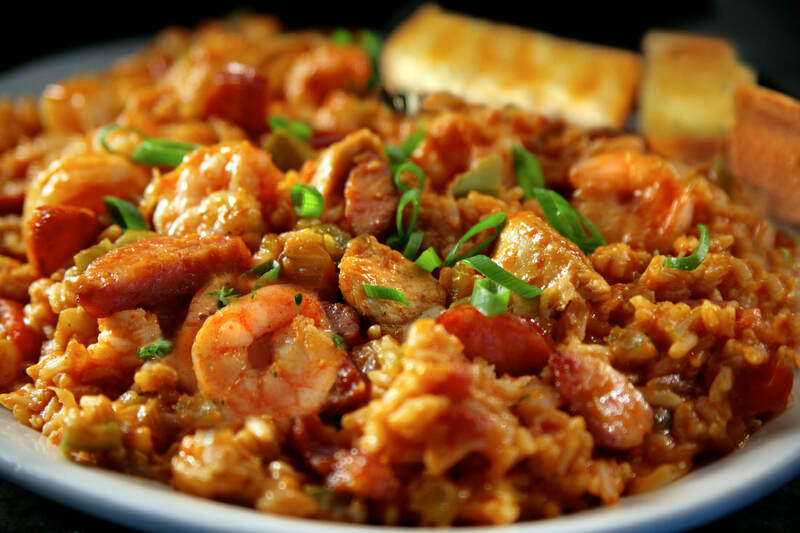 Classic Jambalaya—brimming with chicken, smoked sausage and shrimp—is the pinnacle of Cajun comfort food! 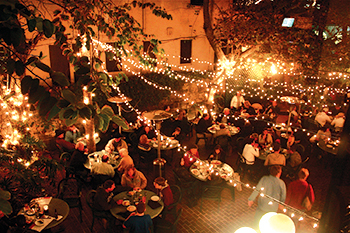 A magical scene by night, Harry’s courtyard beckons with glowing light, live music, soft breezes and delcious aromas.